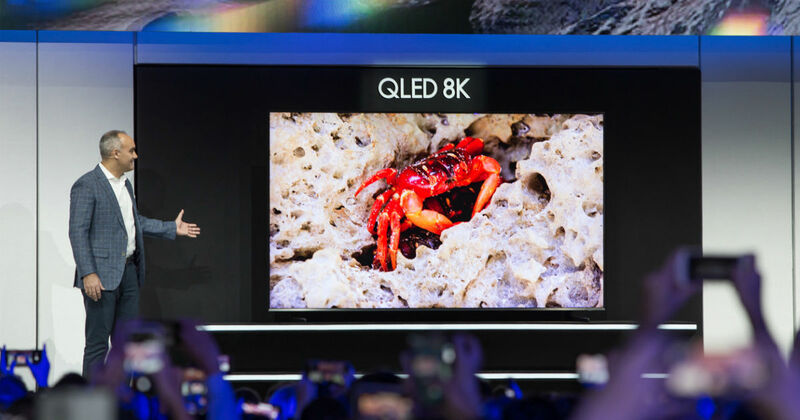 Samsung has unveiled a new series of 8K QLED TVs at the ongoing Consumer Electronic Show (CES) 2019 in Las Vegas. While the highlight of the series is a giant 98-inch model, other sizes in the series include the 65-inch, 75-inch, 82-inch, and the 85-inch TVs. According to Samsung, the 8K series features a Quantum Processor chip, which is able to upscale the content found from any source to a near pristine 8K quality. Before the native 8K content series becomes a norm in the market, TV viewers will have to rely on this technology. This new Samsung 8K QLED TV series comes with an updated version of Bixby, the virtual assistant developed in-house by Samsung. This feature provides users with the option to control the TV through voice commands. The series also gets an improved universal guide, which uses artificial intelligence to adapt itself according to the TV viewing habits of the users and help them to find their relevant contents.